Pat Porter and his wife, Phyllis, traded the cold Northeast winters for the warm Texas summers when they moved from Boston to Central Texas in 2011. With their daughter, Jessica, living in Kyle, the 2,000-mile journey to see her turned into a simple two-minute drive. The Porters loved being close to family, but their neighborhood lacked a sense of community and camaraderie. They found all of that and more at Kissing Tree when they visited in 2016. Now, they’ve already made their mark on the community and are a short six weeks away from moving into their forever home. A proud veteran, Pat is taken back to his military days where he served in the Navy for nearly 21 years. While most men join the Navy at a young age, Pat was limited because of back issues. Determined to follow in the footsteps of his brother, father, uncle and grandfather, Pat had a successful spinal fusion in 1980 and, upon healing, promised a recruiter he would give 20 years by the time he was 60. At 39-years-old, Pat Porter joined the Navy. Over his 20-year tenure, Pat was activated during four different conflicts including the Bosnian War in 1995 on the USS Kennedy; the Kosovo War in 1999 in Crete, Greece; Operation Noble Eagle days after 9/11 in the Portsmouth Naval Shipyard in Maine; and Operation Ensuring Freedom in 2003 in Italy. It was there he served as a Master-at-Arms on the base, supervising the 19- and 20-year-old officers. At 59-years-old, Pat knew his time with the Navy was coming to an end. He couldn’t bear the thought of not being in uniform, so he joined the Army on day 364 of his 59th year. He was assigned to the Massachusetts State Guard which served as a component to the National Guard. Over the next three years, Pat’s unit was trained to be deployed to contaminated areas of chemical and nuclear disasters where they were charged with maintaining the integrity of the crime scene. Dubbed “The Minute Men”, the volunteer group was determined to continue, and honor, the history of the Lexington and Concord. 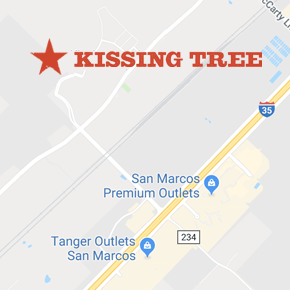 While Pat’s active military days are behind him, he remains involved with the veteran population in San Marcos and has even started Veteran meetings within the Kissing Tree community. The Veterans Group meets the second Thursday of each month at 5:30 p.m. in the Bard model home. To find out more about joining the Kissing Tree Veterans Group, email lifestyle director Kevin Wilson at kevin.wilson@brookfieldrp.com.